And challenge the women in your congregation to commit to get annual screening mammograms and/or clinical breast exams. Your congregation will be provided with educational materials, program suggestions, guidelines and talking points to develop your own Breast Health Awareness Program. Materials are culturally appropriate for all audiences, including African-American and Hispanic. 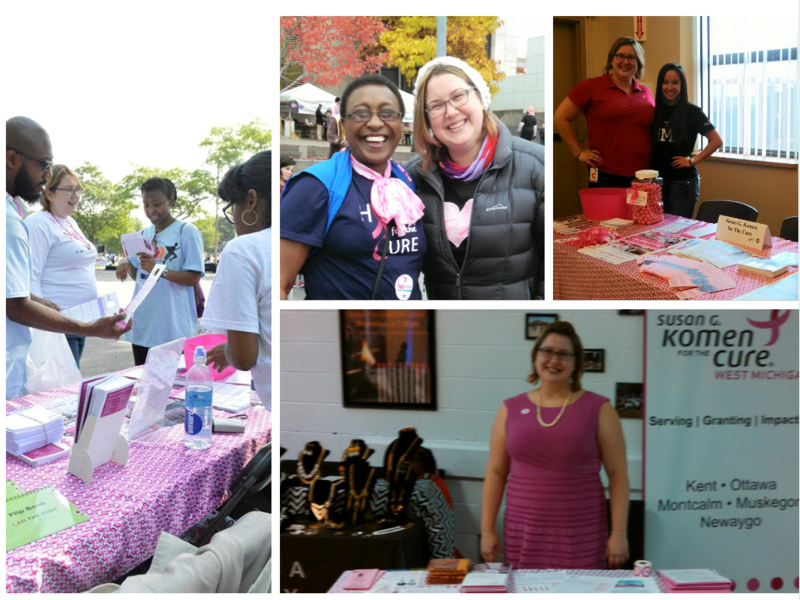 Your event can take many forms and Komen Michigan will help you craft a plan for your special day. A Pink in the Pews event is a great opportunity to support a congregant in sharing his or her personal story and opening up a safe space for members to ask questions and get involved. Early detection is your best protection! Make sure you’re familiar with the 8 signs of breast cancer. mammogram and/or clinical breast exam this year. If you provide your email address, Komen Michigan will provide you with updates about the fight against breast cancer. Ideas for celebrating ‘Pink in the Pews’ at your church.